Any visitor to the MeloTel website should immediately notice the tabs at the top of our homepage. All good website designs have clearly labelled tabs on their homepages. They allow for very easy navigation throughout the sites. Our tabs are as follows: Home, About Us, Services, MeloTel Blog, Testimonials and Contact. It’s pretty standard (read: necessary) stuff. Interestingly, not all company websites feature these pretty important tabs. And, as you may have guessed from the title of today’s blog, there’s one tab, in particular, that has been underestimated for far too long. 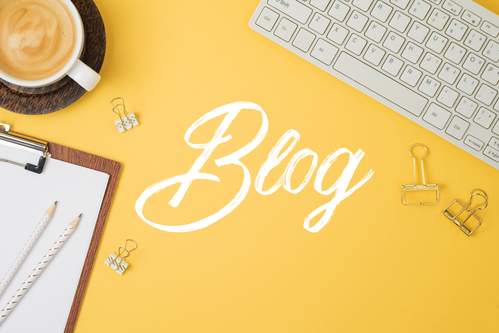 Without a “Blog” tab (which, of course, leads your site’s visitors to its blog), your website is missing out on opportunities to significantly grow your company’s online presence. A blog will help to boost search engine traffic. Without a blog, your website just exists. There it is…sitting on the internet. But what is being done to draw the attention of members of your target audience? Your blog is your website’s guaranteed method of regular updates that include keywords and relevant content. The combination is what helps for your site to rank higher in search engines and, therefore, receive more visitors. A blog gives your brand a personality. In today’s world, consumers place great value on the relationships they have with the brands they support. Business success is no longer about sales numbers alone. It also involves the long-term loyalty gained by customers who are only too happy to promote their favourite companies by word-of-mouth. Your blog is your company’s “voice” which speaks to readers in everyday language. The personality conveyed in your blogs helps to develop brand loyalty. A blog enables you to make regular calls to action. You know how to find us in order to get our team of Bloggers & Creative Writers For Hire blogging for your website. Let’s work together on making your website better!